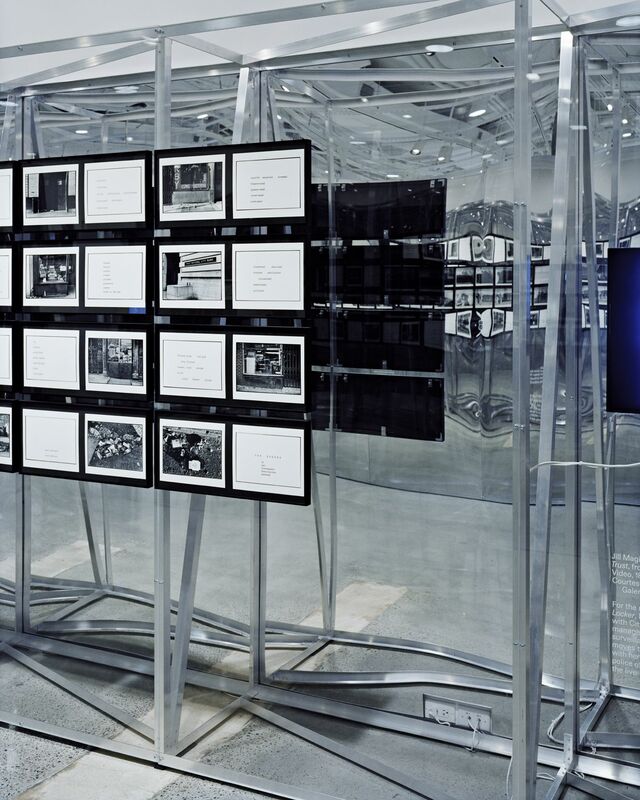 exhibition design and signage for public, private, secret exhibition (in collaboration with geoff han). 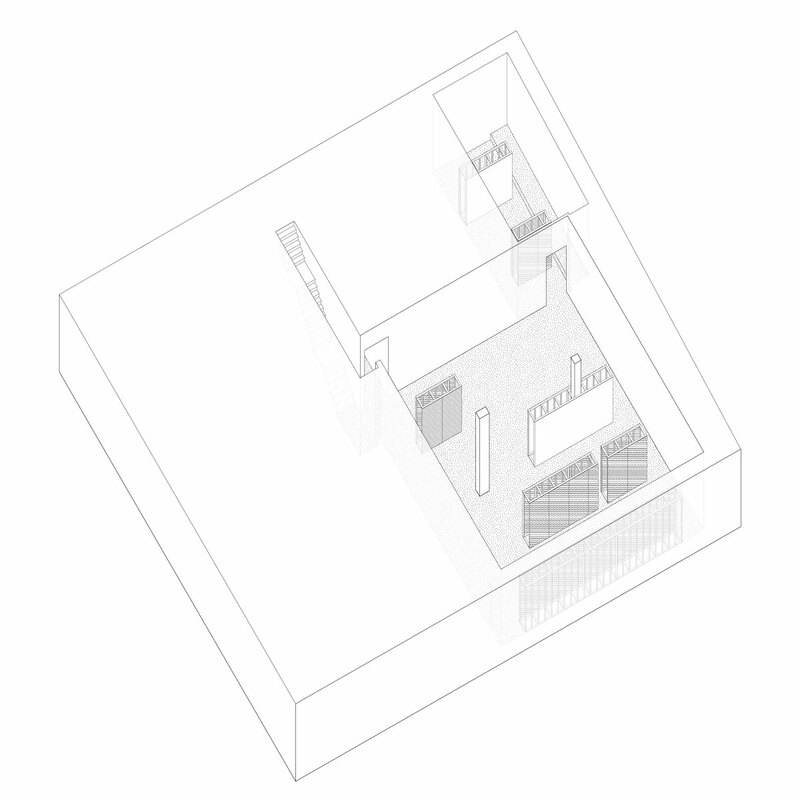 1 – axonometric of ground floor gallery. 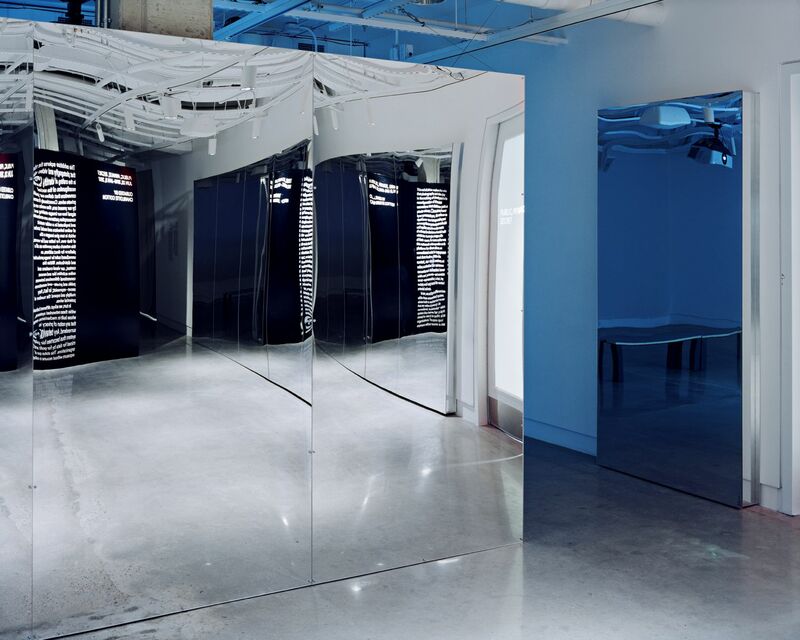 a modular framework supporting mirrored and transparent acrylic panels. 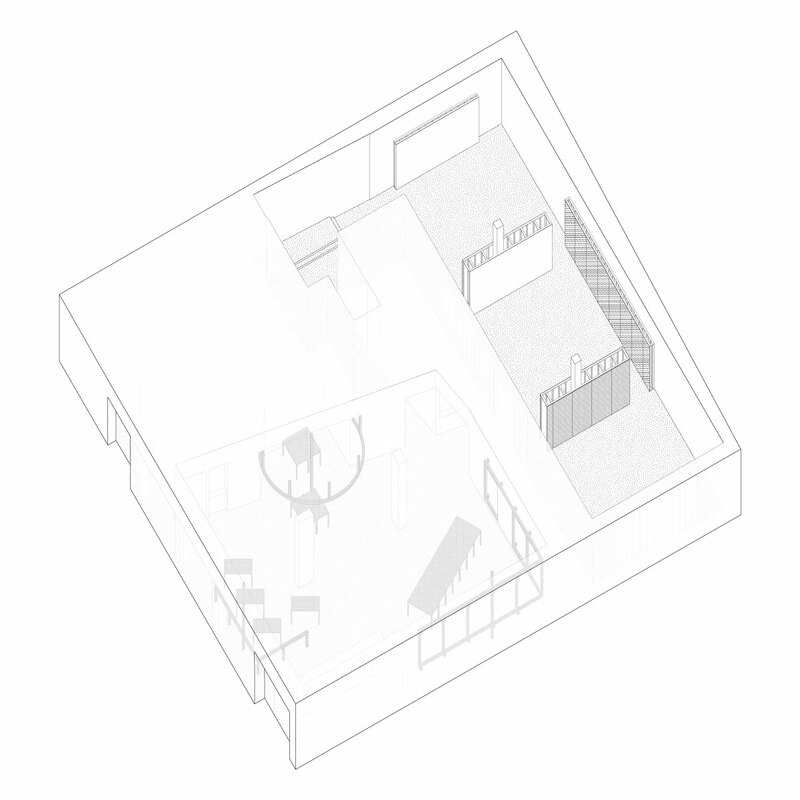 2 – axonometric of lower level gallery. specific placement of freestanding modules allows for a non-hierarchical organization of photographic work. 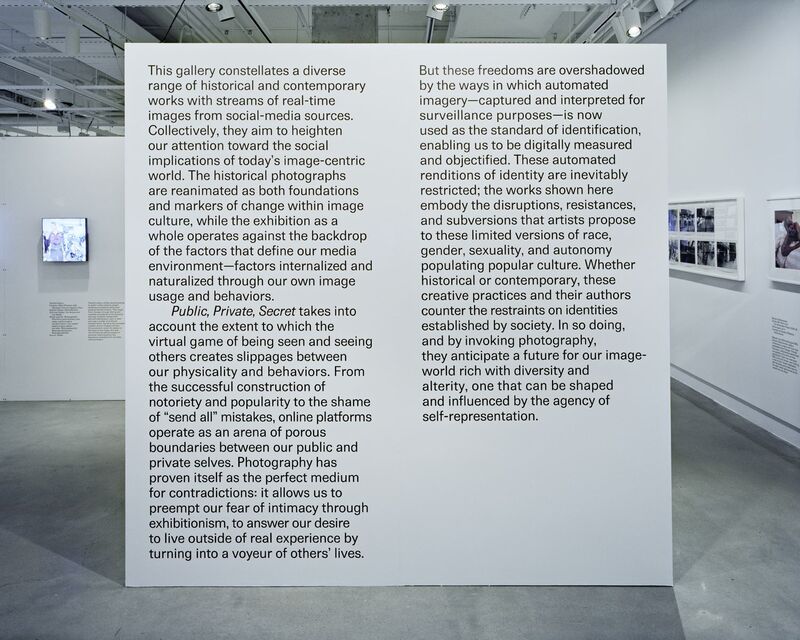 working with the curator charlotte cotton, common room organized public, private, secret, the inaugural exhibition at the new international center of photography museum, in layers of transparent and reflective surfaces. 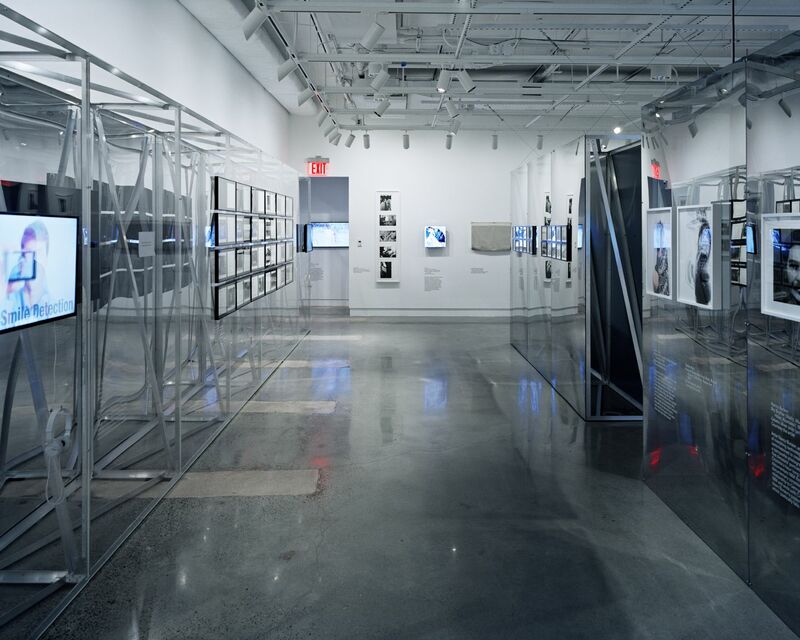 the art work in the exhibition is mounted directly to clear acrylic panels, single sided mirrors and 2-way mirrors. 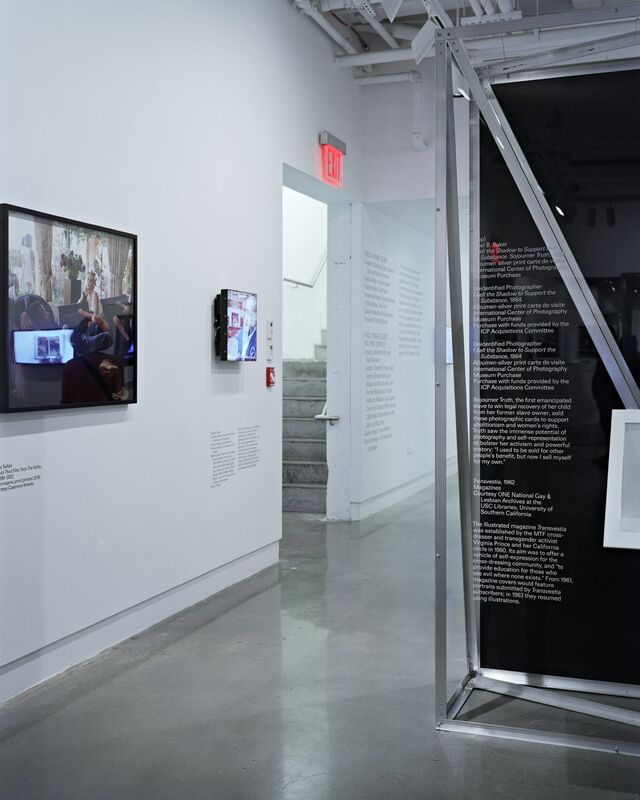 the free standing partitions in gallery 1 and gallery 2 are a modular framework that support the acrylic panels and establish a sequence of experiences in the galleries where visitors look through partitions or see their own reflection on the borders of the artwork. 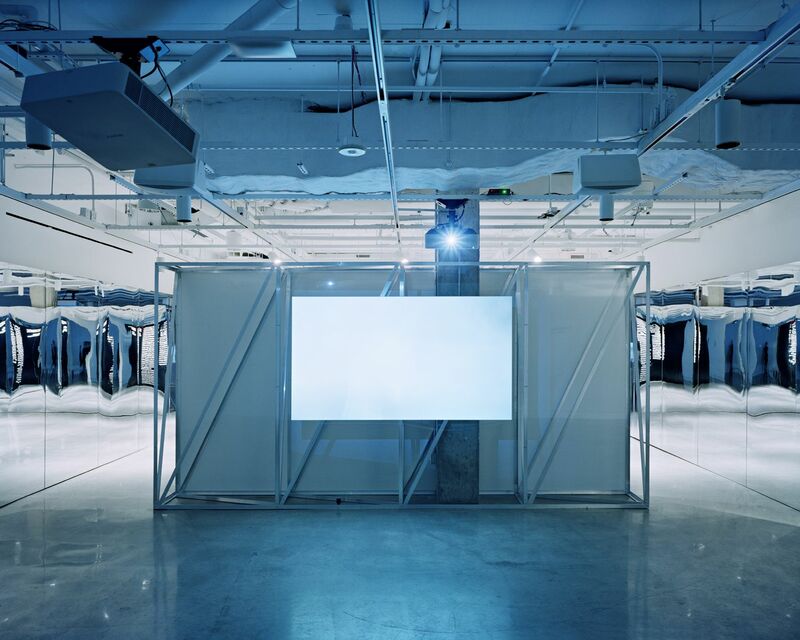 the modular partitions will be repurposed for future exhibitions at the bowery museum. 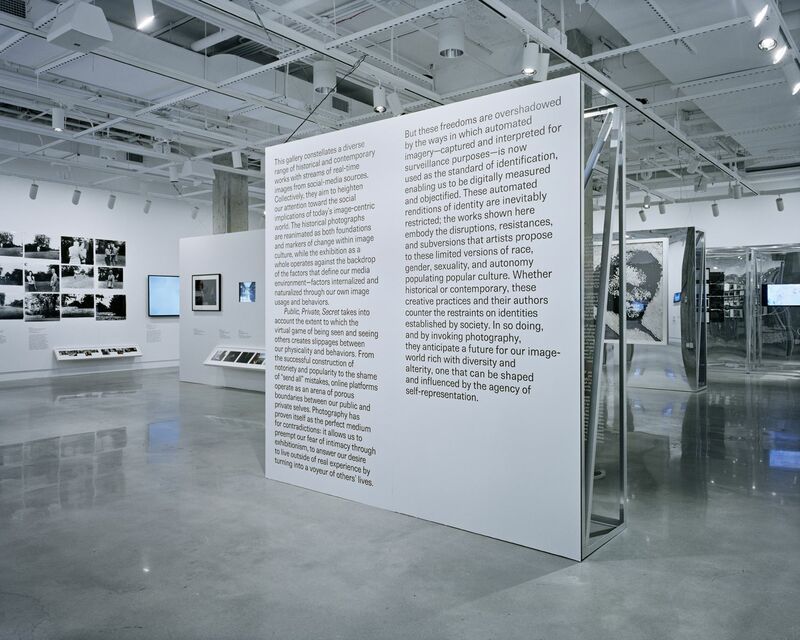 for the public, private, secret exhibition signage, three cut vinyl text masks were created as the main exhibition signage: a white vinyl text mask over glass; a black vinyl text mask over a white-painted wall; and a white vinyl text mask over a black-painted wall. the three signs result in an optical play between positive and negative form. 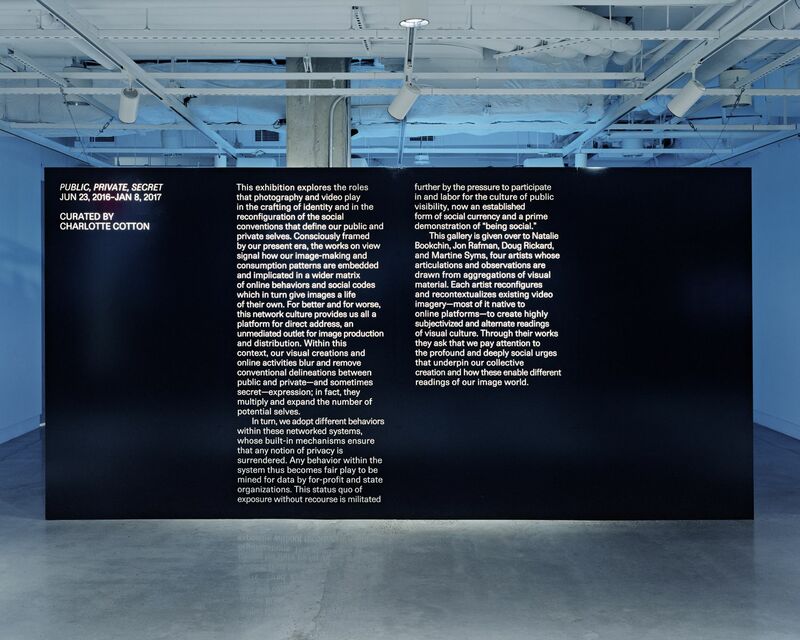 all captions for the exhibition are set large and in black and white cut vinyl at a fixed height throughout the exhibition.